We are a leading Manufacturer of metallic masterbatch and metallic blue masterbatch from Ahmedabad, India. 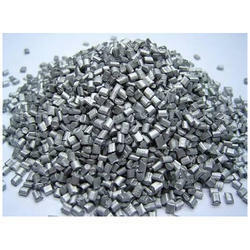 We are a well renowned supplier of the optimum quality range of Metallic Masterbatch. Offered master batch compound is carefully processed by our vendor's employing qualitative level chemicals and modern techniques in coordination with the set industry norms. This compound is eminently acknowledged by our clients for its particularly accurate composition and immensely effectiveness traits. Apart from this, the offered compound is available at most reasonable cost. Looking for Metallic Masterbatch ?